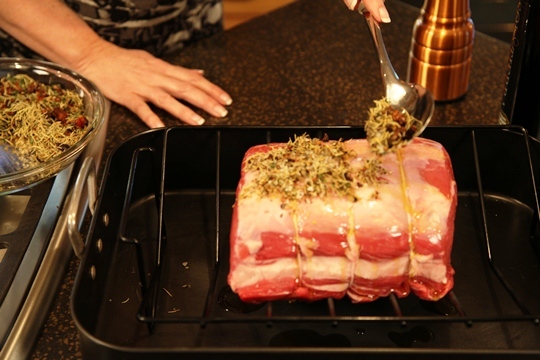 Let the prime rib roast come to room temperature and place in a roasting pan. Drizzle with olive oil. 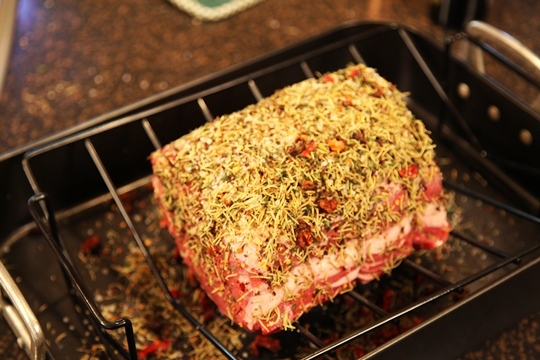 Coat the roast with the Herb Blend. 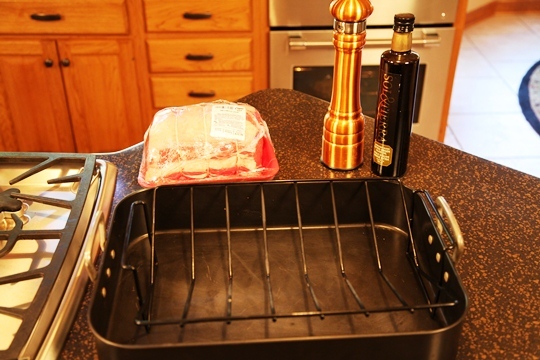 Place in a 450 degree oven and bake prime rib for ½ hour then turn the oven down to 325 degrees. Roast for 15 minutes per pound. It will be perfectly medium rare at the end of the cooking time. 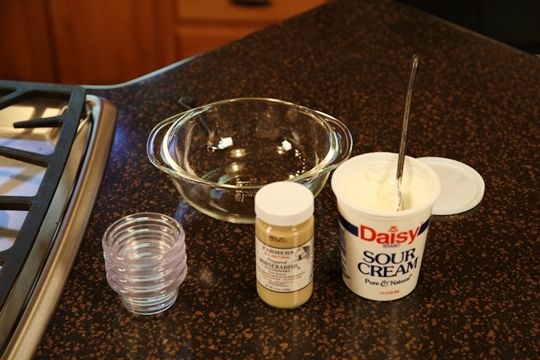 To make the horseradish sauce, combine 1 cup of sour cream with 3 to 5 tablespoons of horseradish. Serve with the prime rib. 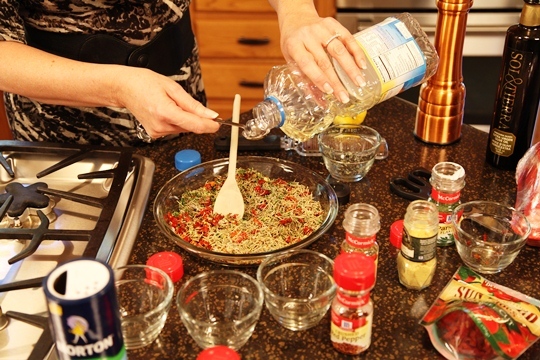 Combine the salt, lemon zest, parsley, sun dried tomatoes, rosemary, red chilis, pepper, dry mustard, dreid basil and vegetable oil in a baking dish and bake at 350 degrees for 15 minutes. Let cool. Let the prime rib come to room temperature and place in roasting pan. 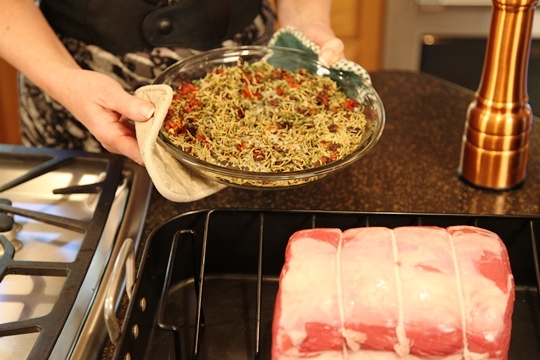 Drizzle with olive oil and pat the herb blend on the roast. Preheat oven to 450 degrees. Bake prime rib for 1/2 hour and then turn the oven down to 325 degrees. Roast for 15 minutes per pound. The roast will be perfectly cooked to medium rare. 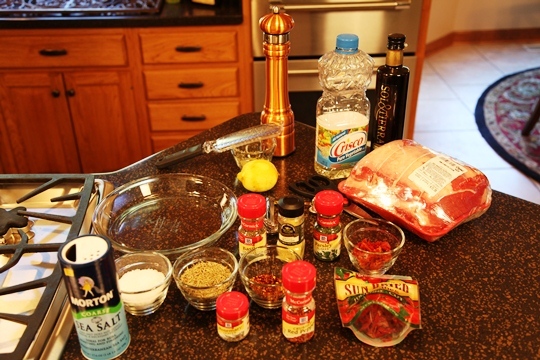 To make the horseradish sauce, combine 1 cup of sour cream and 3 to 5 tablespoons of horseradish. Serve with the prime rib. 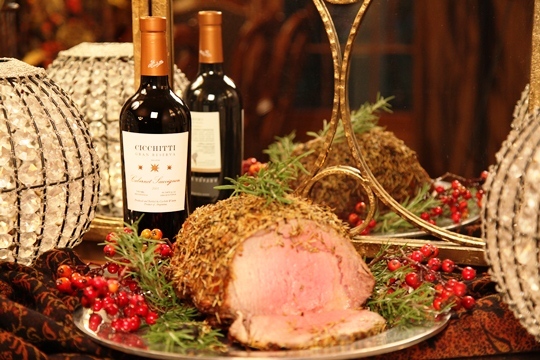 Enjoy this prime rib with a wonderful dry red wine. I think I NEED to make this for Christmas!! Prime Rib is my absolute favorite thing! 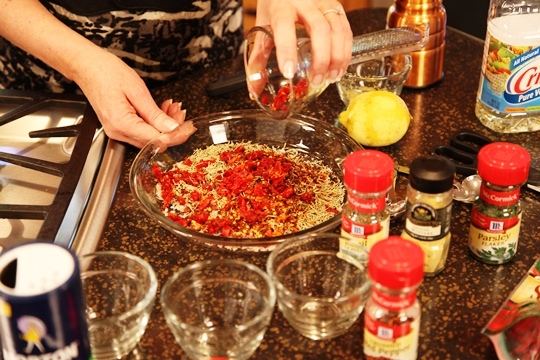 I think you will LOVE this recipe. My family always requests this for special occasions.